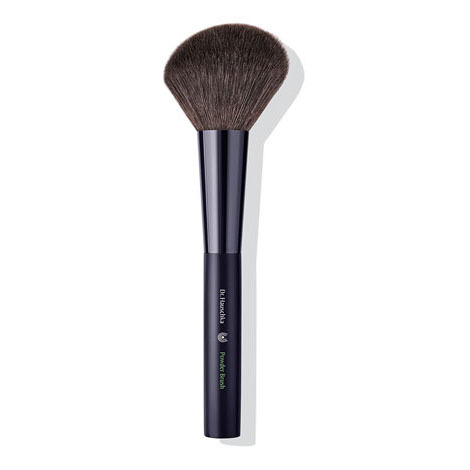 The large, slanted brush head made from soft synthetic hairs distributes powder evenly across the skin to create a natural-looking complexion with reduced shine. It is very fluffy and soft. and it works well. This brush is very attractive but the bristles are so soft I feel like I don't get any soft powder on my face. The last time I bought this brush the bristles were firmer, made of a different material. I would not have purchased this brush had I known. Maybe I don't know how to use it properly. Great Powder Brush and perfect size. This brush is great, it's really soft and it applies my blush or foundation so perfectly, I absolutely love it!